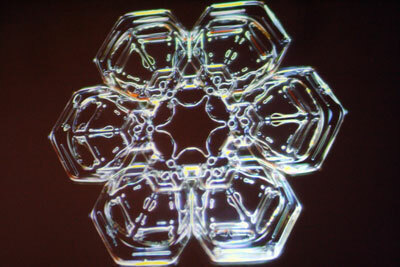 He does snowflake photograph, a camera attached to a microscope. He lives in Southern California, so he has to travel a bit. Northern Ontoria is his favorite. He lets snow fall on the cardboard, then looks for one that looks nice. He then picks it up with it up a paintbrush, and then put it on a microscope slide. He’s going through pictures of snowflakes, apparently the different shapes all have names. He shines colored lights on them, because they’re clear. 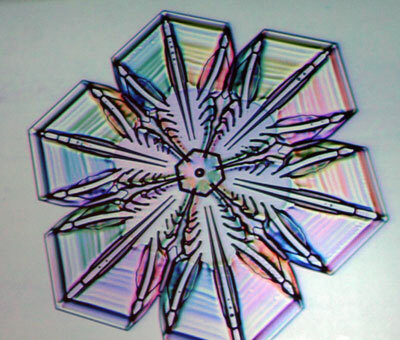 He photographed a 10mm snowflake, he thinks it’s the largest photographed. 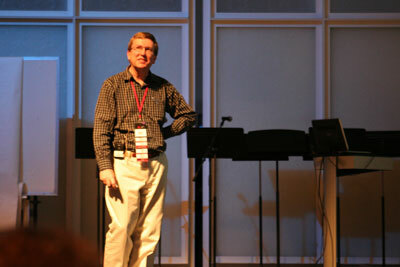 This entry was written by Matt, posted on December 2, 2007 at 4:29 pm, filed under Session and tagged eg2007, ken librecht. Bookmark the permalink. Follow any comments here with the RSS feed for this post. Post a comment or leave a trackback: Trackback URL.